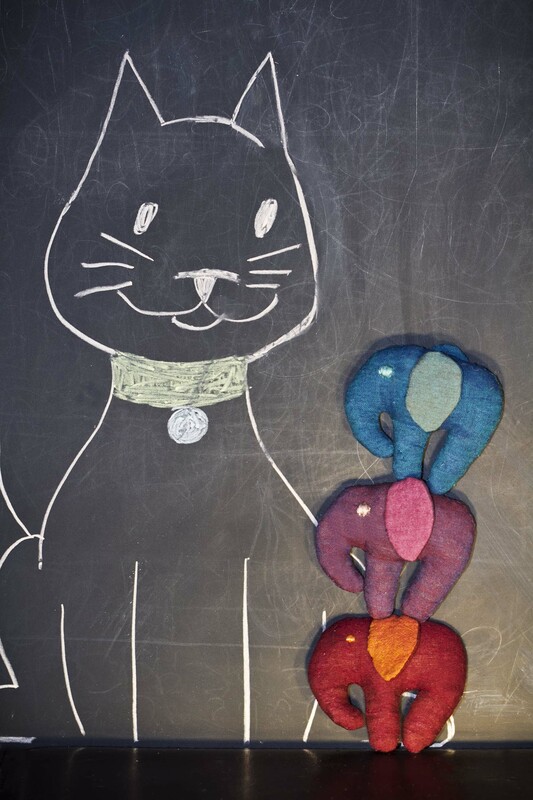 International Quilt Festival Quilt Scene Magazine – Elephant Cat Toy Pattern! My family is definitely made up of cat lovers with seven cats between three households. I like to make handmade gifts, so last year I decided to make some little catnip toys as stocking stuffers for the holidays. I made a few different designs, a fish, a mouse, a turtle, and an elephant. After much convincing, I got Zoe to briefly pose with one. The cats really do love playing with these, but they are not as fond of a chunky DSLR aimed in their direction! The little elephants turned out so cute that I decided to submit the pattern to the annual International Quilt Festival Quilt Scene magazine and…it was accepted! The magazine was recently released and is available for purchase on Interweave. The pattern can be found on Page 70. 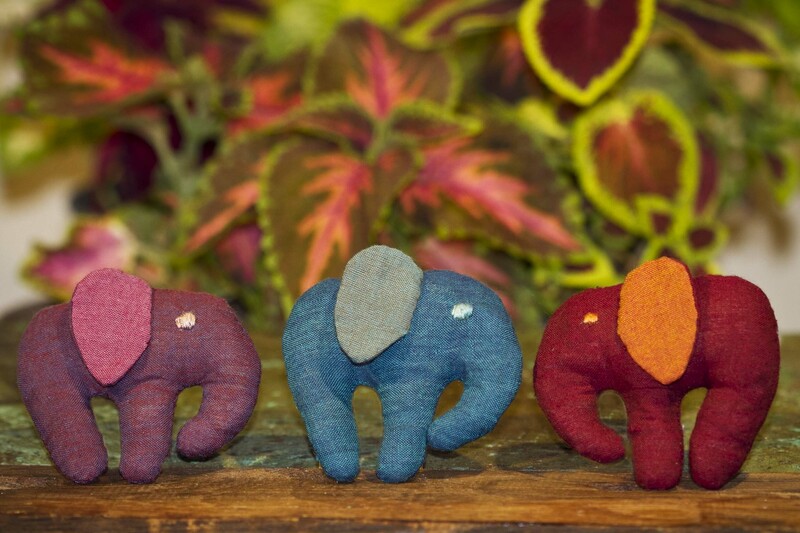 These little elephants are really easy to make and are a perfect gift for anyone with a cat. They only require basic sewing skills, so it’s an easy project even if you’re new to sewing. They’re a great way to use up scraps, and only require minimal materials. The magazine has lots of other cute projects including a Hexagon mini-quilt by Malka Dubrawsky, a knitting needle case by Rosemarie Deboer, a quilted table topper by Erin Daniels, and lots more. This is the first pattern that I’ve had published, and I’m looking forward to developing and submitting more ideas in the future! And, on another note, I’ll be taking part in the Virtual Vegan Potluck again which is coming up on November 16th. The deadline to sign up as a participant is tomorrow, November 9th. It’s always a lot of fun to see what everyone posts, and it brings the vegan blogging community together. If you want to join in, sign up now! 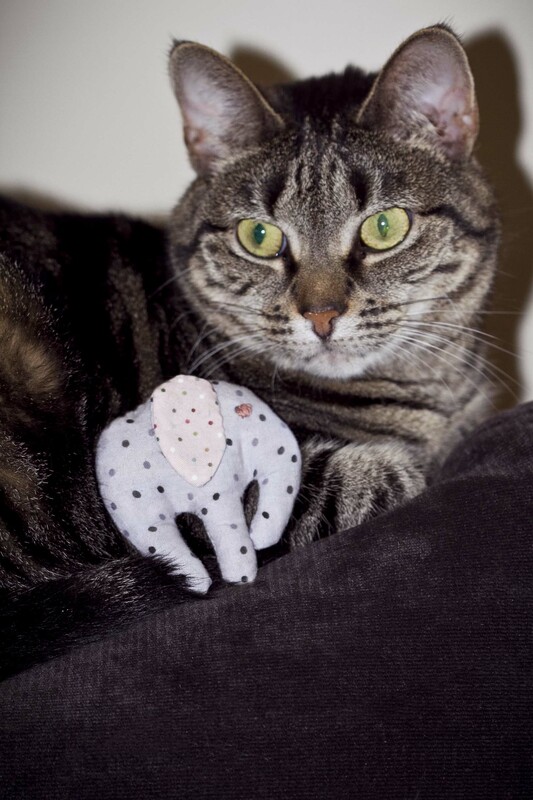 This entry was posted in Uncategorized and tagged catnip toy, elephant cat toy, fabric, handmade cat toy, Internation Quilt Festival Quilt Scene, pattern, quilting, sewing, toy, virtual vegan potluck. Bookmark the permalink. The elephants are adorable! Congratulations on having the pattern accepted – how exciting for you. You’re so creative, Kathryn! Love this idea! So fun and creative! So great your pattern will be published! I can see why! Very cool. Love the photographs.